Enjoy the comfort of luxury speed boat rentals from the number one provider and selection of wakeboard and water ski boats in the western states. 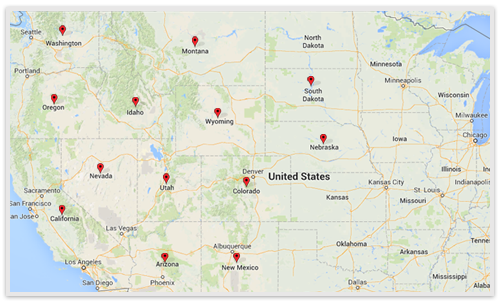 Servicing seven states with several locations to accommodate our customers needs. We offer speed boat rental delivery services to any destination including home, office, on the water delivery, or anywhere you would like. At Utah Boat Rental we adapt to our clients needs and expectations. Every year we update and add new boat models to our party speed boat rentals which have seating capacity up to 18 passengers. Check out our boat rental page for our selection of speed boat rentals. We service all lakes and reservoirs in the state of Utah with speed boat rentals, including Sand Hollow Reservoir, Scofeild Reservoir, Starvation Reservoir, Steinaker Reservoir, Willard bay, Yuba Reservoir, Pineview Reservoir, Echo Reservoir, Flaming Gorge, Strawberry Reservoir, Electric Lake, Huntington Reservoir, Joe’s Valley Reservoir, Mantua Reservoir, Mona Reservoir, Navajo Lake, and Piute reservoir, Lake Powell (Bullfrog, Halls Crossing, Antelope Point, & Wahweap Narinas), Bear Lake, Flaming Gorge, Deer Creek Reservoir, Utah Lake, East Canyon Reservoir, Gunlock Reservoir, Hyrum Reservoir, Jordanelle reservoir, Millsite Reservoir, Otter Creek, Palisade Reservoir, Quail Creek Reservoir, Red Fleet Reservoir, and Rockport Reservoir.